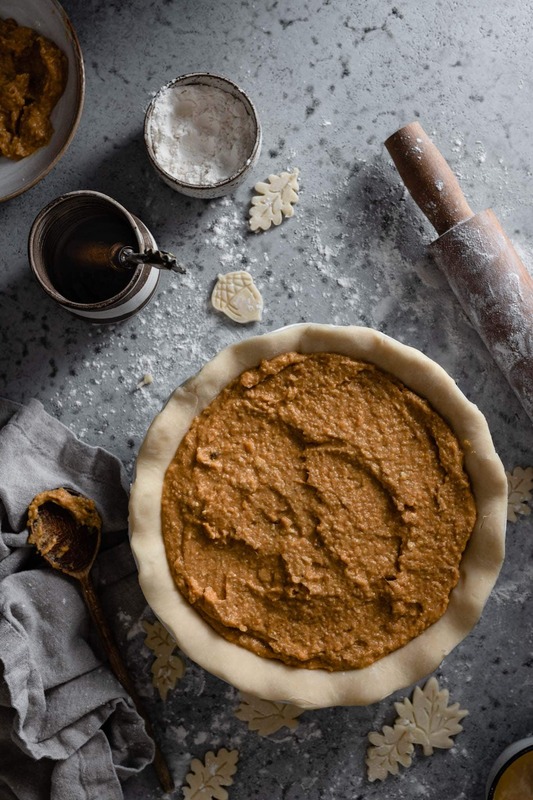 Sweet Potato Pie is pumpkin pie’s tasty holiday sidekick. A bit thicker, with an earthier flavor that takes the place of mashed sweet potatoes on most southern Thanksgiving tables. I’ve never been a huge fan of marshmallows on sweet potatoes, but maple syrup with dark brown sugar is a must. Thanksgiving has always been a huge tradition in my family. The table is decorated with pumpkins, cornucopias of some sort, pilgrim salt and pepper shakers, along with gorgeous fall colored linens. My Aunt pulls out her best china, polished silver, and crystal glassware. We all sit at assigned seats we’ve had since I was big enough to leave the kids table. I get the pleasure of sitting next to my father, as we enjoy cutting up while telling long humorous tales to the rest of the family. They always seem to put the troublemakers together! There will be a turkey, gravy, stuffing, and green bean casserole. Some sort of bread and candied yams that I usually don’t eat. We tend to start the meal with shrimp cocktail, then someone passes around this green congealed salad that only my cousin seems to enjoy. One year I think we even had brussel sprouts. But, one thing is always certain, there will be pie! Yes, folks, it wouldn’t be Thanksgiving without pie. 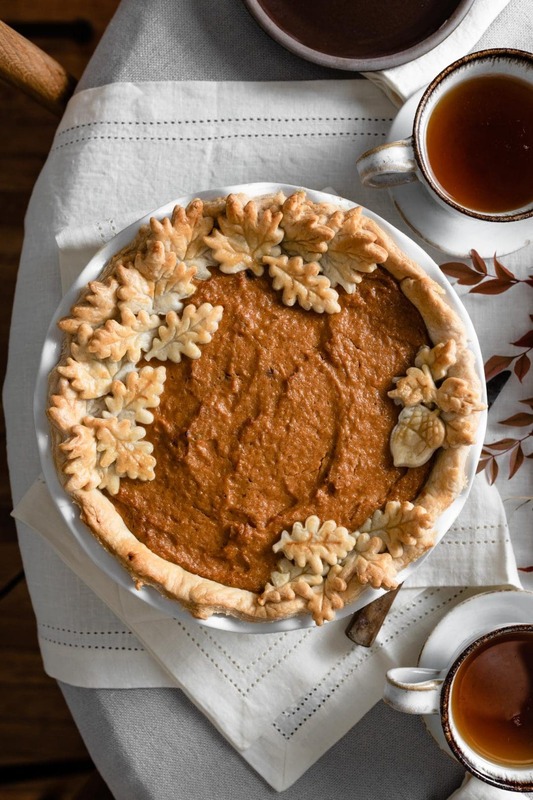 A homemade pie crust filled with flavored sweet potato mash goes perfectly with an almost full belly and family camaraderie. Just a sliver post meal followed by another after a few hours of digestion. 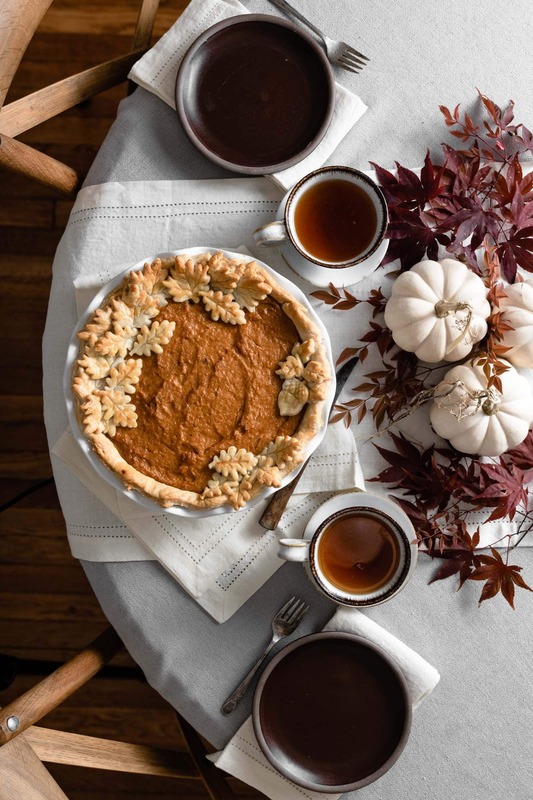 You may be on the verge of a turkey nap, but when you smell its sweet aroma, you can’t help but say ‘oh my gimme some of that sweet potato pie’. 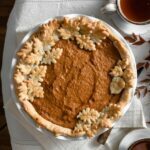 This year I am sharing with your my creamy sweet potato pie recipe with yogurt and maple syrup. I stepped up my pie crust game with a decorative pie plate and pie crust leaves by Williams Sonoma. Take that plain store bought pie. 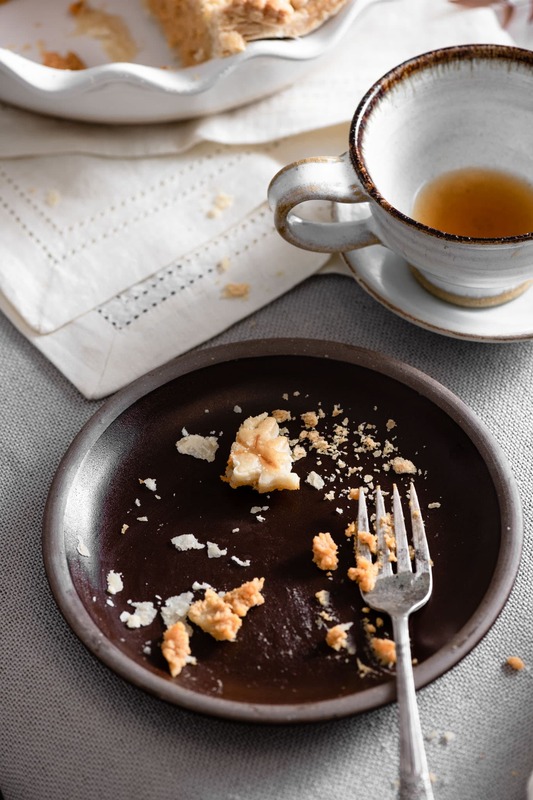 With gorgeous linens and a cup of tea, I think I will sit at the dessert table this year! 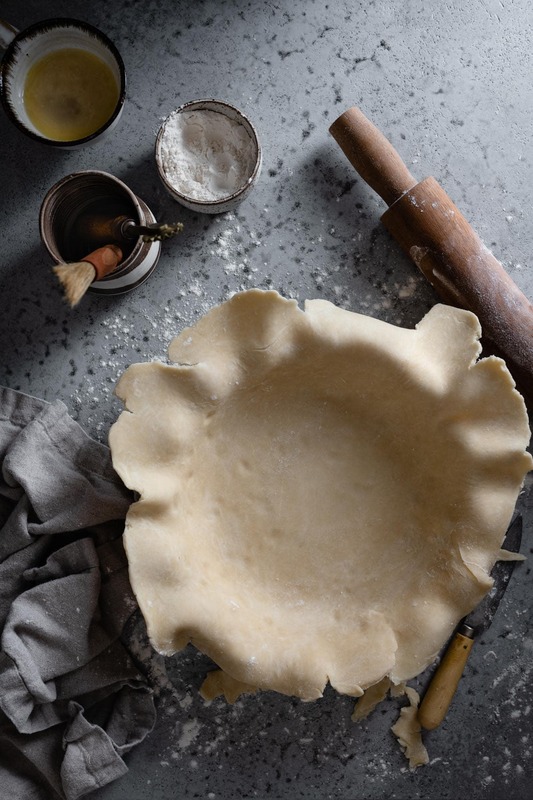 Make two homemade pie crusts. One for the bottom layer and one to cut out leaf decorations. Pie crusts can be made the day before, wrapped in plastic wrap and stored in the fridge. 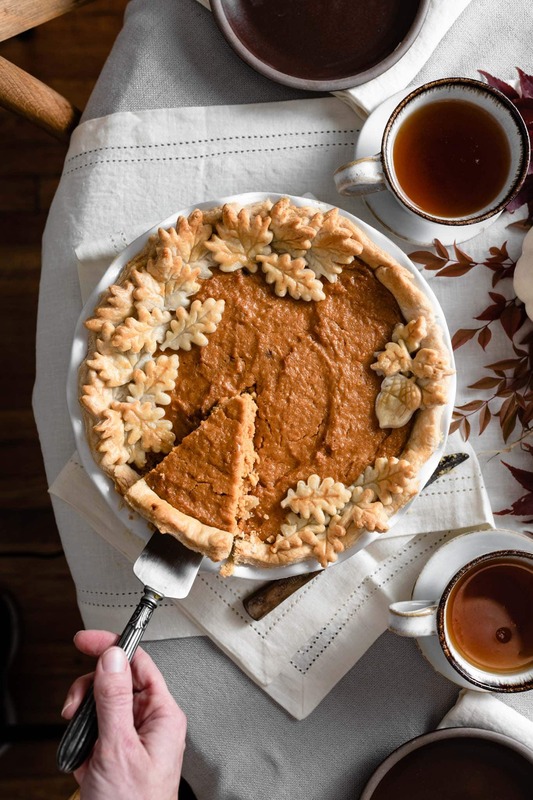 Butter your pie dish before adding your crust to prevent sticking. Use fresh sweet potatoes. Peel and chop 5-6 sweet potatoes, then boil in water until soft. Drain from the water and place in a medium bowl. Mash with potato masher and let cool. Easy peasy!! Dark brown sugar will add more flavor than light brown. Plain yogurt helps give a cream texture. 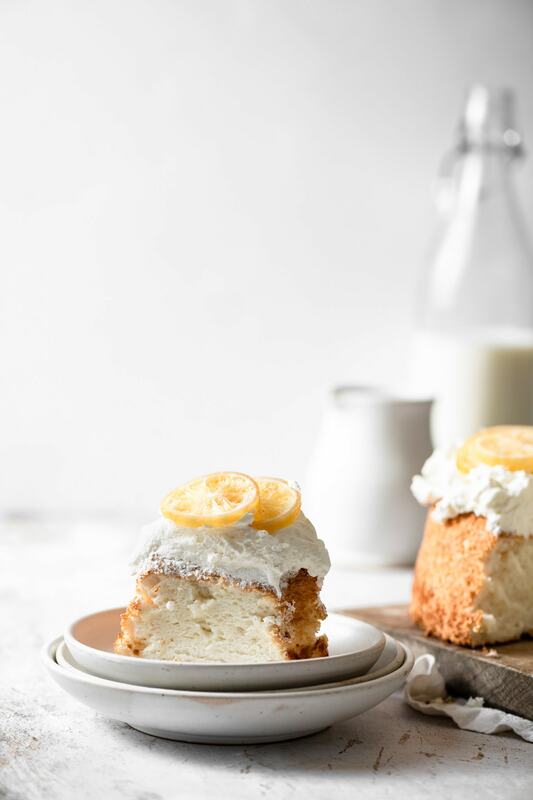 You can swap for greek yogurt or sour cream, but the taste may be altered. 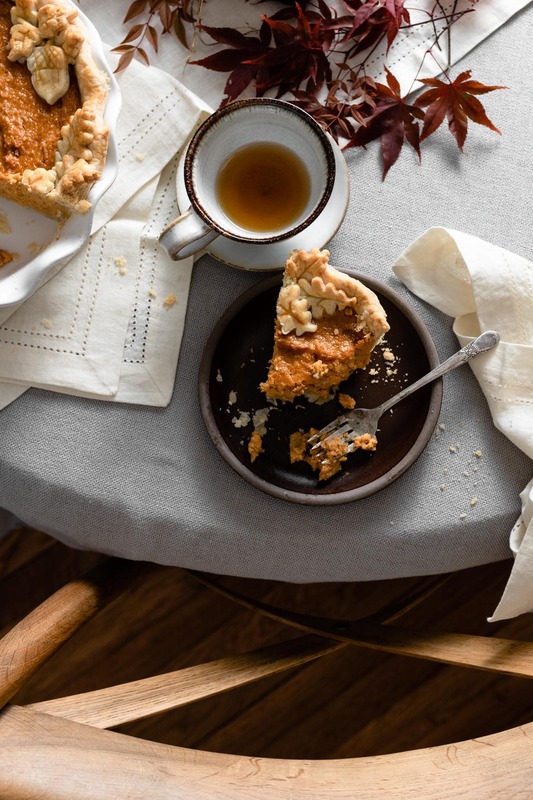 This pie was made with a Deep Ruffled Pie Dish and Fall Pie Crust Cutters from Williams Sonoma. This recipe is for a deep dish 10 inch pie. Here are the ingredient adjustments for a regular 9 inch pie. 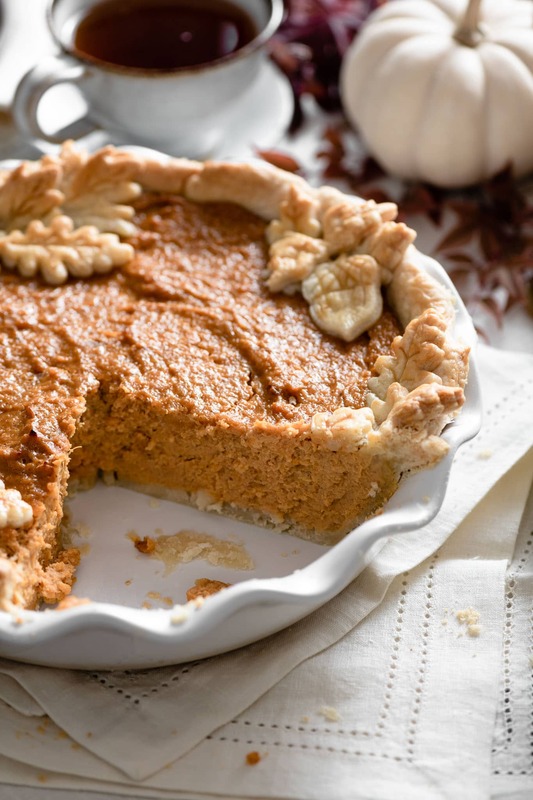 Try this Recipe for the Ultimate Pumpkin Pie this Thanksgiving! Oh My Sweet Potato Pie Recipe is Sponsored by Williams Sonoma. All thoughts and text are my own. Thank you for supporting the companies that help make Two Cups Flour possible. Homemade Sweet Potato Pie made with maple syrup and yogurt. 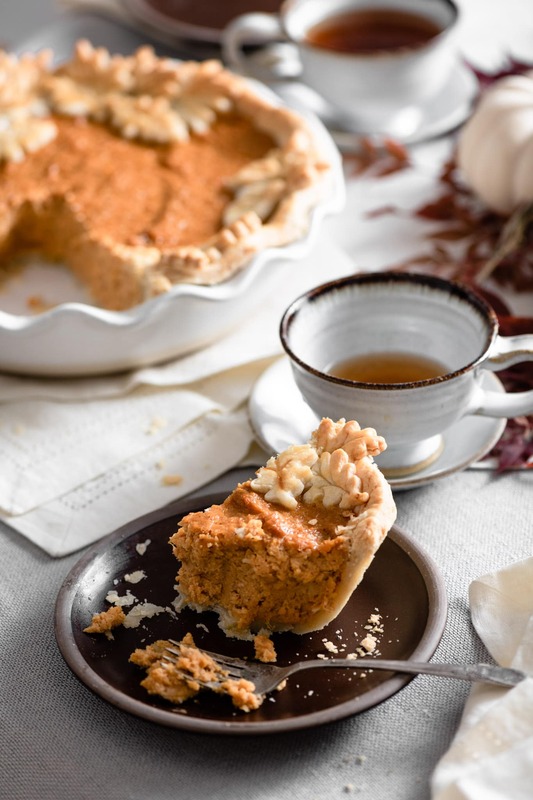 A delicious Thanksgiving Pie Recipe with homemade pie crust and fresh sweet potatoes. Be sure to make two of these! Sift flour into bowl, whisk in sugar and salt. Add butter pieces and begin squeezing them into the flour, mixture with your hands or use a pastry cutter. Continue working the butter until it resembles cornmeal with small pieces of butter. Pour in the ice water (add slowly and work in with hands, until moist dough is formed. should not be soggy). Knead the dough 2 or 3 times on a lightly floured surface and pat into a ball. Wrap in plastic and refrigerate for at least 30 minutes. 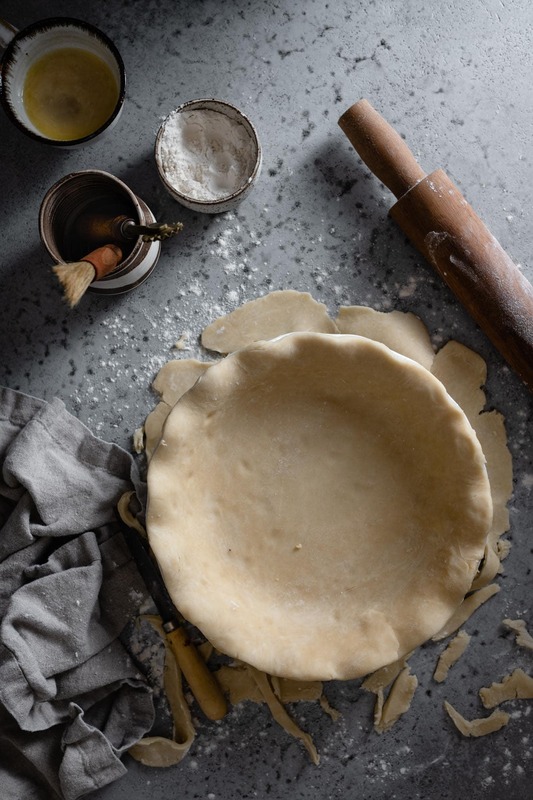 Prepare the bottom pie crust by rolling the dough out to 12-14 inches in diameter. Carefully lift the dough and set onto a 9-inch pie plate (make sure it's at least 1 and 1/2 inches deep). 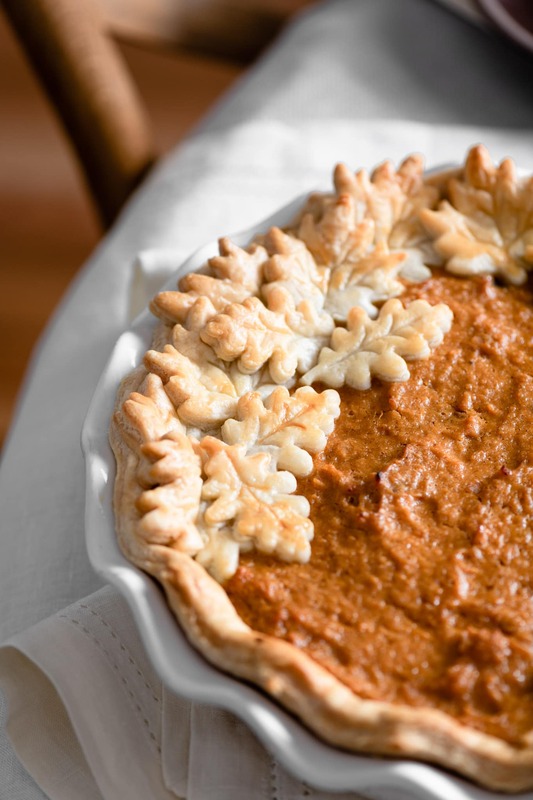 Using your fingers, gently press the dough into the pie plate , letting excess hang over. Take a sharp knife and trim the overhanging dough. Shape again with fingers. Take a fork and poke a few holes across bottom of crust. Place in fridge to firm while you prepare your filling. 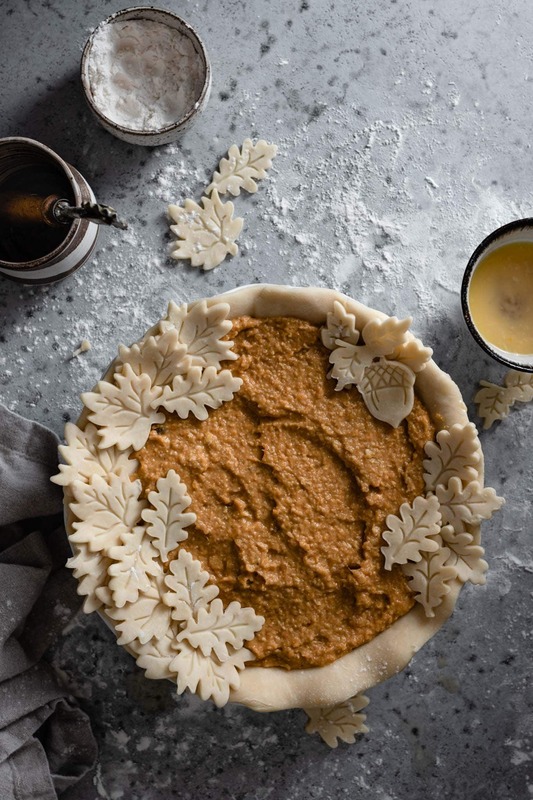 Roll out second pie crust, use leaf cutters to cut out decorations. Place on a parchment paper lined cookie sheet. Set in the fridge until ready to assemble. Prepare fresh sweet potato mash. Can make the day before and store in an airtight container in the fridge. See tips in above post! In bowl of stand mixer with whisk attachment cream your butter and brown sugar together until smooth. Add maple syrup, salt, cinnamon, and nutmeg until well combined. Pour in eggs one at a time and mix on medium high until blended. Add yogurt and pumpkin puree. Continue to mix on medium high until everything is incorporated. Scrape sides and bottom of bowl. Remove crust from the fridge. Spoon your filling into crust. Take a pastry brush and paint the bottom of each leaf with egg wash before sticking to top of pie. 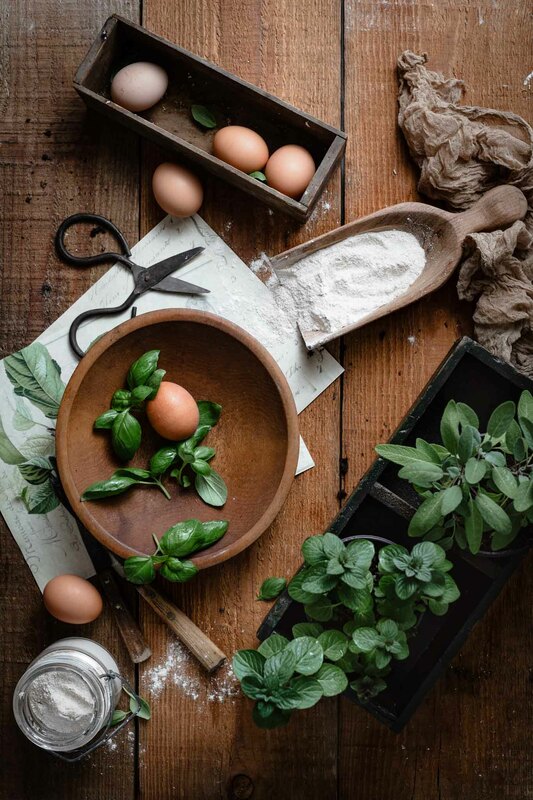 Once you have decorated the pie with leaves, paint a little egg wash across the top of pastry. 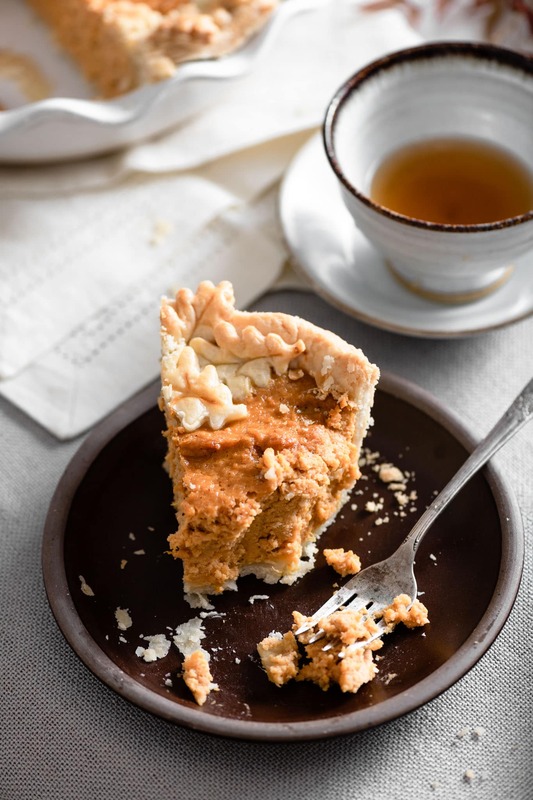 Bake for 45-50 minutes until the center reaches 170 F or slightly firm when pressed with fingers..
Cover pie with aluminum foil halfway through baling to prevent burning the crust. Place pie dish on cooling to completely cool and set. 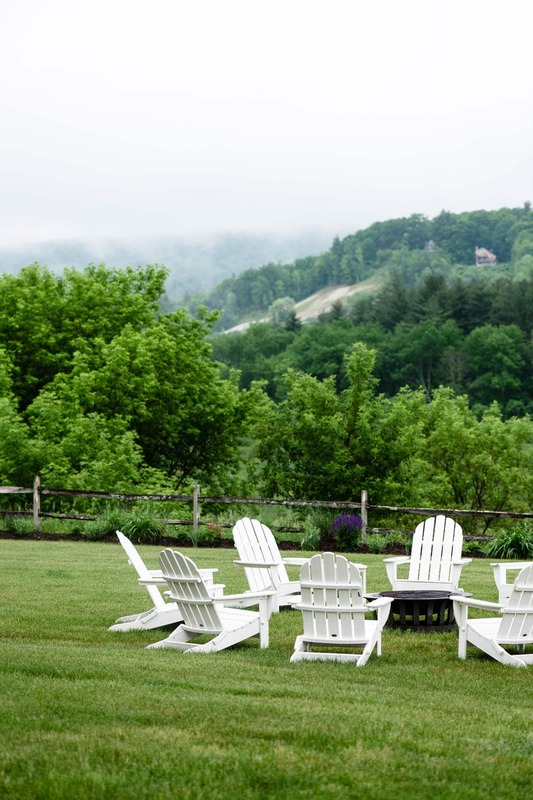 I loved the description of Thanksgiving dinner with family at my house! You know it was Grandma’s favorite holiday especially with the 5 kernels of corn at each place. I Am almost ready for tomorrow- the pies are made and the shrimp is chilling! You’ll have to wait for Easter for the lime jello 😉. We will miss you! Happy Thanksgiving!! !